What does Higgins Beach mean to you? It means being with family, celebrating our heritage, remembering countless summers spent in Maine. My mom was born and raised in South Portland. 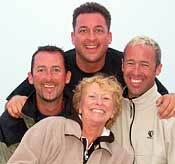 She along with her brothers and sisters spent their summers on Dana (Little) Beach, Willard Beach and Higgins Beach. All got married and ended up moving out of Maine. They resided in Chicago IL, Cleveland OH, Columbus OH, Akron OH, Anderson IN and Bangor ME. As they raised their families they returned to South Portland every summer to visit their parents and give their children the Maine experience. Eventually their children grew up and they became empty nesters. 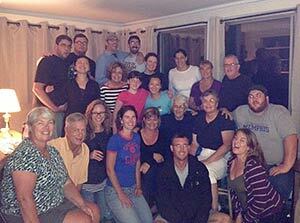 Those Geneva brothers and sisters continued their summer trek back to Maine. 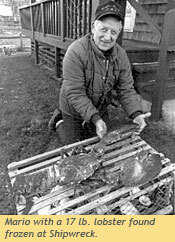 At some point in the 1970's they began coming back to Maine at the same time. They rented the little white cottages from Mary Kelly on Kelly Lane. 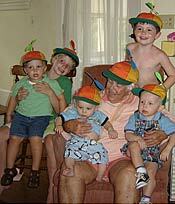 Over time their children (the Geneva cousins) became re-energized for summer vacation in Maine. This was the start of what has become the Geneva family reunion. 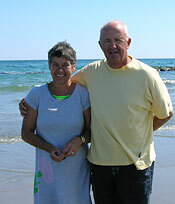 Each summer these cousins rent six or seven cottages at Higgins Beach the end of July. 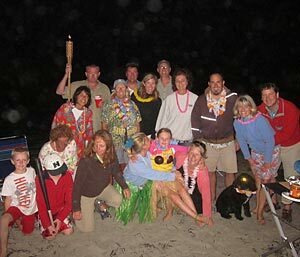 Upwards of 30 or more cousins, second cousins, extended family..... and...... two surviving South Portland Genevas can be found on Higgns Beach. This picture was taken this past summer in the sun room at the Juniper Lodge. It is not uncommon for this very group to be gathered together each evening at one of the cottages. Trading old stories, playing games and simply having a great time together in the great State of Maine!!! Want to be on our site? Or, do you know someone who would? 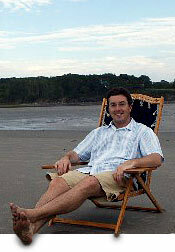 We will feature one lucky Higgins Beacher on our site from time to time. Send us an email answering the question, "What does Higgins Beach mean to you? ", along with your name, photo, and the year you discovered Higgins. Below is our archive of past Higgins Beachers - people who have come to enjoy Higgins Beach and share their thoughts with us. Sonshine, Where It Began, Lani Kai, Gregory's Landing... cottage names are unique, whimsical and just plain charming. But that's not all! The stories and families behind the names are often more heartwarming than the cottages themselves. 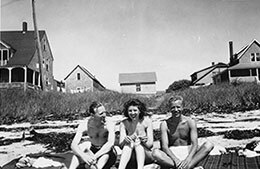 The Callahan family first came to Higgins Beach in 1947, when Philip Callahan, grandfather of current owner, Michael Gentile, brought his wife, Joyce, to the beach for the first time after WWII. For the next 66 years, the Callahan/Gentile family has never missed a summer at Higgins. Over the years, the family has grown exponentially and all of its members have developed Philip's love and attachment to Higgins. Today, over 30 family members and friends, including several 4th generation Higgins Beachers, make an annual trip or two to Higgins. As the family grew in size, it became increasingly difficult to find enough homes to rent to allow the family to be together at the beach they all love so much. Thus, the idea of Family Tides was born, a big house where multiple families and generations can gather to enjoy this place we all love. 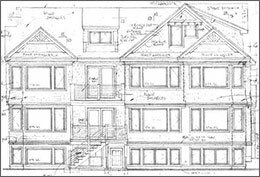 We know that many families share similar histories and love for Higgins and we hope this house will allow large families or groups of families and friends to all stay under one roof and create memories for decades to come. Higgins Beachers since: I first came to Higgins on Labor Day Weekend, 2009. A longtime close friend of mine took my husband and I there. That day she showed me how to look for sand dollars, and as we went over by the rocks at low tide, I found the bottle with the message. It's my Heaven on Earth. I never can get enough of this quiet paradise. My Soul feels peaceful here. You never know the treasures you will find at Higgins. Five years ago I FOUND a message in a bottle, from SOUTH AFRICA! Dated May 8, 1986! That was the very first treasure I ever found, and it was my first time there. Now I'm there dozens of times each year. I can't stay away. The person was talking about his cousin dying from the violence going on at that time in South Africa, and he wanted to write about his sorrows and "cast them into the sea." 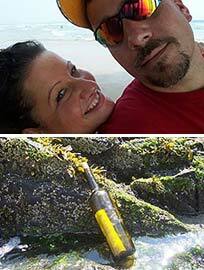 I have a pic of the bottle before we had to break it open, to get the note, it's sitting on the rocks at low tide. I think the bottle came from South Africa, like the note said. At the time I found it, there was a hurricane coming up the coast of Florida so all kinds of stuff washed up that weekend. It was a Labor Day weekend, and I found it by the rocks in front of the Inn, floating in the low tide water. Higgins Beacher... "I was lucky enough to be born and raised here!" A lifetime of wonderful friendships and warm memories. Higgins Beach is a community like no other! For the love of sand and misty sea. We cast our worries far away. to moonlit walks of evening shade. The first time we rented was for Canadian Thanks giving, on Shell St. & Houghton. We were being weened off of Goose Rocks, as of too many e-coli problems, for two consecutive years. Heartbroken, I was urged by a good friend who knew my love of ocean and insisted he knew something better, more me. It was with reluctance that I booked without visiting first, so a long weekend of Thanksgiving was fitting. Although, that weekend proved to be hot and beautiful temperatures (brave Canadians,still swimming) it was not until the following summer that Higgins Beach took permanent residence in my heart. The close sense of community, we got to know many returning families and there children quickly. It was easy to fall-instep, with Wednesday doughnuts (best ever) Tuesday outdoor evening concerts. There is a simplicity to Higgins Beach, that one can summit and feel like they are home. For me, it is my home. When I get there every summer, I feel as I have arrived. There are too many things to write down, on how much I love this special place. All I can say, it is a gem. And Cliff St. Is home, in my heart. Sometimes, places find you. Higgins found me. 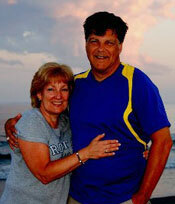 We have been travelling to Maine since we were both young children in the fifties. Montreal residents almost always go to Old Orchard Beach. It's a great beach, but... We have also travelled to Bar Harbour and Wells and Ogunquit. Even in Old Orchard we tend to stray close to Ocean Park than the Pier. We last stayed at Fortune's Rocks near Biddeford Pool. We were very impressed with that location and intended to return there. Then we started watching the Higgins's beach Web Cam every day. The rest is history. We loved our accommodations but the beach and the Community were what just blew us away. Total strangers would invite us into their homes for a drink or to see their latest renovations and there was so much community spirit. What impressed me were "The Rules." None of them were stupid rules. We respond to structured environments and Higgins's beach is exemplary of that. The rules are applied so that everyone enjoys themselves without destroying the underlying harmony of the Town Of Higgins's Beach. The scenery was spectacular and the proximity to Portland and Freeport was just the icing on the cake. One week was just a tease. We want to compliment you both on the way that you conduct your business. Everyone that we spoke to described you as the perfect couple and was very complimentary of you both. We have never been so well treated nor have we felt so immediately at home in a community. 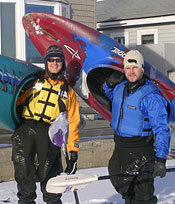 You have an enviable location and an exemplary lifestyle in Maine. If we all just tried to mimic your goals and morals, I am sure that the entire world would be a better place. Maine has always been the object of our passions but we now have an address to identify where to go to enjoy Maine even more. Thank you for your invitation and your hospitality and thank you for performing such a wonderful service to us all. You may never know what good things are achieved by your collective efforts. I just know that Higgins Beach has stolen my heart and that we will be back a soon as time and opportunity provides us with the occasion to return. Some of the happiest memories of my childhood are at Higgins Beach. I grew up vacationing there. Higgins Beach was where our big family gatherings were. I also had friends that vacationed the same weeks such as the Townsend's, the Snyder's and the Pettapiece's. 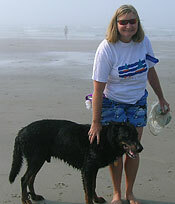 Buying a home in Scarborough was my husband Alec's and mine way of always being close to Higgins Beach. Now we have access to the beach and ocean 365 days a year. Higgins Beach means that we are 5 minutes away from surfing and absolute relaxation. It means friendly people and their dogs. Higgins Beach means my dog, husband and family are happy. t now find it comforting to know that no matter the type of day I have had at home or work when I walk onto Higgins Beach, or any of the other three beaches in Scarborough, my stress and pressures lessen. And I also know that if I walk far enough on the beach clarity is possible for whatever I was pondering. I grew up in Michigan and every March we would pack in the car and head to Florida because my mom and I "needed it bad" (an old Florida commercial). Now I can honestly say there is no more need for vacations to Florida! It's a wonderful place to relax and enjoy the great beach & ocean. We found that it was a safe clean beach for children no matter how small. Our neighbors are great and friendly. Can't beat this healthy clear air we can breathe here at Higgins. Bruce: One word sums up what Higgins Beach means to me: WOMAN! It's where I met my wife! 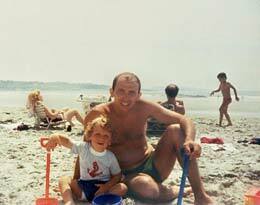 I first was introduced to Higgins Beach in summer of 1984 when I was 10 years old. My step-mother (Patricia Duggan) used to come here as a child and fortunately she shared this gem with us. We rented a cottage for many summers following. My vacation time at the beach was a time to meet new friends, spend hours (and hours) in the water and falling asleep to the sounds and smells or the ocean. I have come to believe that this is what heaven must be like! When I met my husband in 2004, I immediately thought of Higgins Beach as a romantic, coastal location for a getaway: He was hooked! Higgins Beach was our first and only choice for our wedding and we were able to secure 30 guests, mostly from Montreal, to drive down for our July 14th wedding in 2007. For Martin and I, Higgins Beach means lovely memories past and those to come as we are expecting our first child in August 2008. We cannot wait to introduce our little one to this magical place! Q: What does Higgins Beach mean to you? 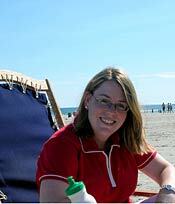 Higgins Beach means a week of peace and tranquility,family gathering,grilling and especially the striper fishing. We discovered Higgins Beach through my sister and brother-in-law (Kathy and Mike) in 2005 when we were planning our wedding. 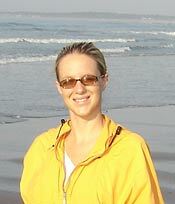 We got married on Higgins Beach in August of 2005. Since then we have vacationed here for the past three years and we hope to for many more. It is so beautiful here and we love that it is so comforting and everyone is so friendly. I grew up in South Portland, so I was always aware of Higgins Beach. In 1968, my friends and I were old enough to meet up and start riding our bikes out to the beach. That's when it became a special place for me. A walk on the beach has always brought me instant relaxation, a sense of renewal and a fresh look at things. 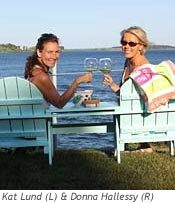 Since 1968 the beach has meant a gathering place for friends. 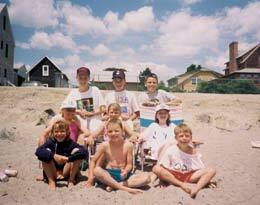 Since our move to the beach in 1985, it has also become a gathering place for family and neighbors. The family that boogie boards together stays together! Higgins Beach means family and comfort to me. I have been coming up to Higgins Beach since I was 6 months old. My grandmother lives at the beach year round and it's a great place to get together and see my immediate and extended family. It means comfort to me because it is so familiar and known, no other beach compares. Whether it be Winter, Spring, Summer or Fall, Higgins Beach is the most beautiful, relaxing, friendly and spiritual beach we have ever been to!! 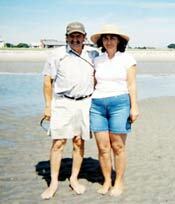 We have been enjoying Higgins Beach for around 15 years. Neverending!! There is something so majestic about Higgins Beach, ME. I have been going there since I was 15 and I am 26 now. It brings me peace, joy and serenity. Higgins Beach has a lot of meaning to my family as well as myself. My parents renewed their vows on the beach with Rodney from The Breakers on June 6. It was their 30th wedding anniversary. It is my favorite place in the world. Nothing else in the world can make me forget my troubles and feel so at peace like Higgins Beach can. Higgins Beach is our Brigadoon. For two weeks every summer we step into another time and place and create the memories that carry us through the long winter. This summer Nana Vollmar celebrated her 85th birthday at the beach with all of her family, and shown here, her five great grandsons. To me, Higgins Beach means fun, relaxation, friends, family, summertime, grilling, barefeet, beach chairs, beach bocce and frisbee. Every time I come to the end of Ocean Avenue, I feel a rush of peace and serenity. It never gets old and I never take it for granted. Higgins Beacher since 2 weeks old! Spending time with my family at Nana's beach house! 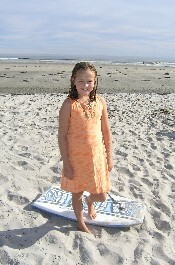 There is always something fun to do and to look forward to doing on Higgins Beach, like swimming and boogie boarding. Beauty. Peace. Serenity. A home for my children, family, and all the people I love. A dream once thought impossible that came true. 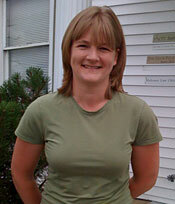 To kick off the release of this website we proudly present our first Higgins Beacher: Muriel Townsend! Peace! Friends! Family! A dream come true! From my first visit to Higgins Beach, I dreamed of living here year round. In 1983 I bought my home and my dream came true. Now, I feel very fortunate and lucky to live in such a beautiful place!